Collaborative law is based on three simple principles. These include pledging to not go to court, transparency/honesty between spouses and attorneys, and a solution that keeps the best interest of both the children and the couple in mind. 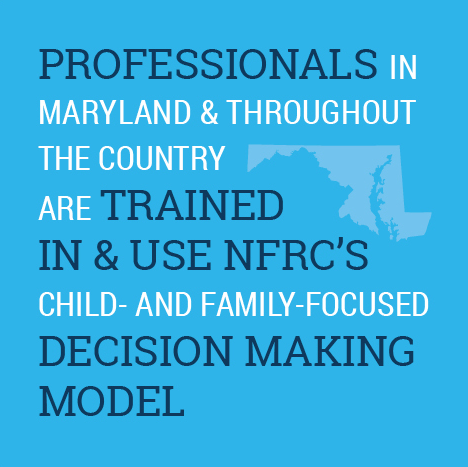 NFRC staff serve as divorce coaches and child development experts and work with the entire team of collaborative law professionals. Collaborative Law is an alternative to conventional litigated divorce or mediation. It attempts to work toward the goal of reaching a non-adversarial legal agreement between two clients using trained attorneys along with mental health professionals and a financial planner. Each client chooses their own attorney to represent them who has been trained and certified in collaborative law. Each client also has a certified divorce coach and parents work with a child development expert to help them craft a child focused parenting agreement. After initial meetings with attorneys, all meetings between attorneys and clients are held jointly with both attorneys and parents present for all discussions. Divorce coaches may participate in the meetings to support their clients. An independent financial planner trained in collaborative law is also available to work with the couple and attend joint meetings. Many local attorneys have gone through formal collaborative law training and a collaborative divorce can be substantially less expensive than a traditional litigated divorce. Lists of collaborative law attorneys are available from NFRC or on the internet.